When looking for creative class benchmarks in culture, placemaking and policy, it’s becoming increasingly necessary to look overseas. Two such countries that are on the creative rise are China and Great Britain. The best place to start understanding China’s impact is in Fast Company magazine cover story, China’s New Creative Class, “You can sense it in the trendy restaurants and slick boutiques popping up in major cities – and in the gritty ex-warehouse and factory districts where imagination-driven companies are joining the cafÃƒÂ©s and art galleries that first settled in.” With 34 million blogs and an average age of its 400 richest people at 46.5 versus 65.7 in the U.S., there’s an innovation revolution afoot. Check out the article for endless examples of artful economic phenomena, from animation festivals to prolific filmmaking to designer-paloozas. On a shorter note, check out Richard Florida’s take here on how the British government is talking about the creative economy on a national level that’s nowhere on the U.S. government’s radar. 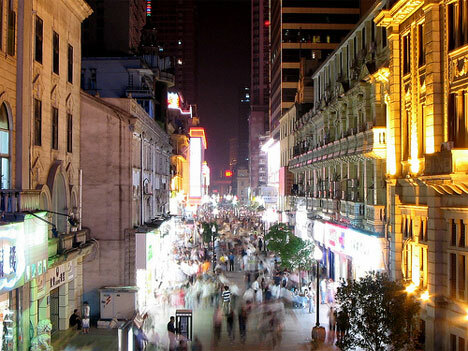 Image source: Wuhan, China by stephen in motion.